The ideal way to take in a movie is sans any expectations whatsoever. While it's often a near impossibility, it's the most honest way to assess how successful the film is at delivering the most crucial of all criteria - resonance. 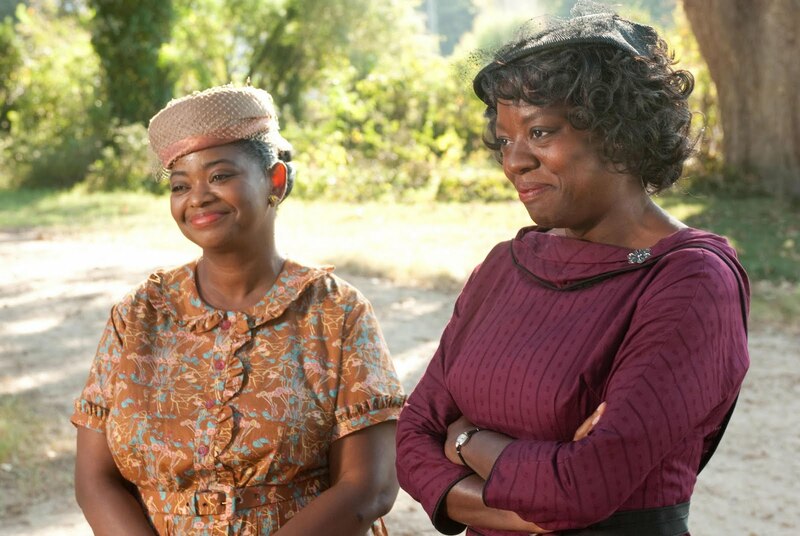 Having never read 'The Help' in novel form - consuming the big screen adaptation was a much more rewarding experience than I had envisioned - it is worthy to be in the discussion of the finest films of 2011. Adapting a monstrously successful best-seller for the screen is one of the most daunting tasks for any director to tackle but rookie Tate Taylor (a childhood friend of the book's author Kathryn Stockett) gets it done with his 'Lifetime-esque' effort. That's not to belittle Taylor's take on things but the thing is shot about as cookie-cutter as a movie can be. It's a good thing the story serves that style - a group of affluent women in the South and their relationships (or lack thereof) with the very backbones of their households - the "help". Aibileen Clark (Viola Davis with an Oscar-caliber performance) is the matron member of the army of African American women that keep those snotty entitled ladies' lives in order - a quiet but resilient woman who's dealt with immeasurable pain during her oft difficult life. Her sidekick, Minny Jackson (an Oscar-worthy Octavia Spencer) is as strong-willed as they come - mess with her and you'll be eating humble pie with some rather rancid ingredients. The cast is stellar across the board: Bryce Dallas Howard is pitch perfect as the nastiest of the snobby women, Jessica Chastain delivers her fourth powerful performance of 2011 and Emma Stone scores as the upstart wannabe-journalist that gives a face to the servants - the strongest outing of her career. With a domestic haul of over $200 million, 'The Help' was a runaway success - aided by much deserved positive world-of-mouth. When I initially heard that Oscar-buzz was abound - skepticism took hold but after viewing the final result - 'The Help" definitively belongs in the discussion of the finest films of the year. It sheds light on a topic that has largely been hidden from view - delivering real human emotion in a way that few films have of late. Kudos ladies.